This past week has been pretty nuts at my house. And I mean that literally. On Friday, I received a delivery 475 pounds of nuts and dried fruit, which some friends and I spent the evening sorting out and sharing amongst ourselves. It sounds pretty nutty (read: mentally unhinged), doesn’t it? Well, once you have tasted a “new crop” nut delivered from Rancho Vignola, you will understand that the only intelligent thing to do is to order a direct shipment to your house so that you never have to eat another flavourless or rancid supermarket nut, ever. I now have squirreled away enough freshly-harvested and delicious almonds, hazelnuts, walnuts, cashews, etc etc, to last our family the whole year. And, believe me, even after a year of storage, these nuts are still way fresher than most of what you can buy in the store. I have been using Rancho Vignola nuts and dried fruit exclusively for the last 6 years and I have loved every minute of it! So, being such a huge fan and supporter of Rancho Vignola (and for more than just the freshness of their nuts), I am thrilled to announce my first blog giveaway! 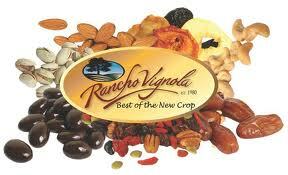 Rancho Vignola is offering a basket of mixed dried fruits and nuts valued at $150 to one of my blog readers!!! Giveaway ends by midnight, Saturday, December 7th, and a winner will be announced Sunday, December 8th. That’s one week, folks! In the meantime, keep checking the blog this coming month for recipes and ideas for some the amazing products I get every year from RV. It may be the baby pecan butter cookies, or the sour cherry chocolate pound cake, or the hazelnut flour torte, or…. With the holiday season coming up wouldn’t we all love the opportunity to have some premium nuts and dried fruits to offer. Mmmmm …. nuts and fruit. Perfect time of the year for them. those nuts sound intriguing. I had to pass on buying some roasted almonds on sale at my regular grocer as they were too stale for my taste. Ooooo….I’ve been wanting to try making a vegan pecan pie….this would help! Sounds amazing! Thanks for the chance to win! Would love to win this for the holidays! Looks delicious I love dried pears and apricots. My family loves nuts and I use them in cooking, baking and for snacks. I’m excited to hear about Rancho Vignola and will look them up. Thanks! Sounds fabulous, Heidi!!! I’ll have to check them out as well. Thanks for the tip. I am very interested in this company now. Thank you for the tip! Thank you for sharing your source to quality nuts and dried fruit! Sharing our ‘finds’ helps us foodies unite and strengthens quality producers markets. Love your blog too! Best wishes to you and yours Heidi! Wow, I am nuts about nuts! The thought of all the marvelous holiday treats one could make with all that lovely dried fruit and nutty goodness. Om nom nom! What a great foodie find….and what a fun contest. I am experimenting with cashew creams and nut milks these days. I am sure the freshness of the nuts involved would a critical factor in the deliciousness of the end result! That is a whole lotta nuts to sort! Thanks for the information on the company, love to support local BC businesses! I look forward to your recipes using your new fruits and nuts! I am so envious – dried fruit and nuts always means Christmas to me. I think I was one of the few kis who would get excited about stringed figs and a cello bag of nuts in their shells in her stocking. The nut cracker was a sought after. Thing in my house. 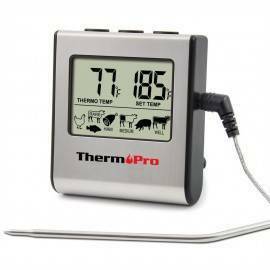 Looking forward to your upcoming recipes. awesome blog post:) and such yummy goodness on offer. thank you! Great contest. I have also tried Rancho Vignola in the past and they have the best dried fruit and nuts. Everything tastes so fresh. We’re addicted! Looking forward to your recipes! I totally concur… I have bought Rancho nuts and fruit for the last three years and they do last a whole year… I put my extra quantity in the freezer… I would love to have my name in the draw… never enough nuts and fruit. Yummy! Sounds wonderful. How do you store the nuts and dried fruits so that they keep fresh for a year? I have been increasing my consumption of nuts and dried fruit and this is so tempting this time of the year. I’ll sure look into that company! Thanks for the chance to enter. Hi Marilyn, I store them in glass jars away from light and heat. At this time of year, the glass jars are in storage boxes on the back porch. In the summer, they are in the basement. I’ve been wanting to try the Rancho products since you posted about them on Facebook (or blog?) a while back. What a fun giveaway! Rarely a day that goes by that I don’t eat nuts, but I don’t think I’ve ever had them from a new crop. Sounds like the makings for a new cooking class Heidi! Yummers!! nuts are a great addition to almost everything, Thanks! Thanks for sharing info about Rancho Vignola Heidi. Now I know where to order fresh ingredients for annual fruit cake making. I always enjoy reading your recipes and blog. It’s my b-day Dec 7th (Friday tho), would luv to win Rancho Vignola dried fruit and nuts basket….awesome company and awesome giveaway ! I second Heidi’s endorsement of Rancho Vignola. I’ve been ordering nuts and dried fruits from them also for the past 6 or 7 years. I love all the nuts, the dried organic mango, and the best organic dark chocolate domes (super-sized chocolate chips)! I love Rancho Vignola :) woohoo!! Thanks for the offer! Awesome opportunity! Pingback: Rancho Vignola ~ Blog » The Talented Chef Heidi Fink and her ‘Nutty’ Giveaway! 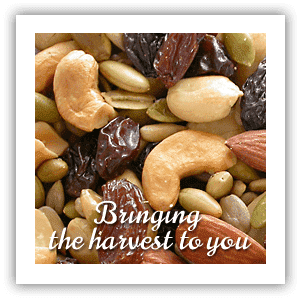 I am NUTS about your blog…..and I love fresh dried fruits and fresh nuts! Rancho is the best! I would LOVE to win the gift basket! I am excited as I just received my Rancho order last week too! Yummy! Nuts and fruits would be a great addition to my kitchen for Christmas baking and cooking fun! Oh, yum! I’ve been wanting to make some sugarplums soon and would really like to try some of the Rancho Vignola fruits & nuts. Also some chocolate, pecan, ginger bark. And, and, and…Please pick me! I love your classes & blog, Heidi. Thanks so much. Wishing I was one of YOUR friends!! Love Rancho Vignola. I store mine in glass jars too. It’s intimidating to receive so many nuts all atonce but its amazing how they quickly disappear. Today I ground up some raw pistachio with Brazil nuts, added tahini and honey. Delicious homemade halvah. Would love fruit and nuts for the holiday- so festive. I am salivating over this post, I MUST try these nuts! Thank you for sharing!! These sound like amazing nuts, I’d love to win some. I hate the grocery store ones and have had a hard time finding good fresh tasting ones. Hmmmm… I’m intrigued and would love to do a taste test. Good luck to me! Woohoo! I’m throwing my name in too! I love making honey & spice candied nuts during the holidays. This could be the incentive I need to join the nut collective! Nothing says Christmas like fresh nuts and dried fruits! Fingers crossed that I’m the lucky recipient! We love everything we have tried from Rancho Vignola. The fresh quality is amazing. Any of it makes awesome gifts too (as ingredients in things, or just by themselves). You got me at rancid. I’m so tired of the supermarket nut lotto that I’m off to make my own order right now. I would still love to win more nuts though….home made fruit cake, icebox cookies, cashew green beans with Chinese 5 spice….! Thanks Chef! Ooooh, sounds good to me! I’ve been ordering from Rancho Vignola for 3 years now, and their products have totally spoiled me and my family. The organic dried mango from Mexico — delicious! The walnuts…the almonds…the chocolate…the dates…I could go on forever. First time at your blog — like it, too! I first tried the Rancho nuts on a ski trip–a friend brought a mixed bag for the event and showed us all how fresh the nuts were by lightly shaving the surface, revealing a light glaze of oil. The taste was amazing and I was stunned that I had been eating old nuts my whole life. I’m now a lifer!! Thank you for sharing this little gem! I am always looking for food products that are as local as possible and I love the idea of being able to get nuts from BC! My next challenge is heirloom beans…any ideas?? Do you happen to know if it is only the hazelnuts that are from BC or have you ever had any other nuts from BC?? Hi April, generally, only the hazelnuts are from BC. I know that Rancho Vignola actively sources local nuts, but so far the processing in BC is too limited for their needs. I had a long talk about it with one of their reps, who said they are hoping to have processing for BC nuts and dried fruit in the future. One thing I really like about the company, though, is that they work directly with farmers. The owners visit farms around the world to see how the land is tended, the workers are treated, and the nuts are processed. They buy organic and fair-trade as much as possible. So, despite the limited availability of BC nuts, I still find them the best of the best as far as quality assurance and business ethics. These nuts sound amazing – I’m tired of getting stale nuts! What a delightful prize for any time of year! And I love all kinds of dried fruits and nuts. This is perfect timing! I was just talking to a friend about how we’re trying to be locavores now, and that nuts and dried fruits are gonna have to be sourced from some organic and fair-trade company. This post is exactly the sort of information I’ve been looking for. Thanks so much for blogging about this! I’ve never tried “new crop” nuts, looking forward to checking out this company.. Or winning ths draw and trying it sooner?!! Thanks for sharing your sources for good eats! On a side note, I totally love the recipes you share, I made your jam to go with leftover turkey sandwiches, it was soo awesome it converted my husband who only ate turkey sammies with mayo, blk pepper . Thanks again, really enjoy your blog! Love to try some Racho Vignola – have never heard of them (sounds like I am missing out)! I’d love to win your gift basket to share with people we have over during the holidays! Here’s wishing you and yours a great Holiday Season and all the best in ’13!!! My family and friends are NUTS about nuts! I look forward to sharing my winnings with them over the holiday season. Love, Love, Love rancho vignola and their nuts. This morning as i was enjoying my breakfast of home made granola, on plain yoghurt topped with our own triple crown, olllala and local blackberries, I was reminded of the lovely buffet breakfasts we have experienced at Harrison Hot Springs resort, which included local fresh and delicious local hazlenuts in abundant quantities. So nice to find a great Canadian source online for good nuts….We intend to try them out. Thanks for sharing this….love your blog and your cooking classes. I’m not afraid to try Indian cooking now. I bought some dried fruit from Rancho Vignola for the first time this year and are just delighted. Keep on thinking that I should have bought more to introduce to my family and friends over the Christmas season. Please, please pick me!!! I ordered online at the Dec offering and understood you had to buy $300 for free shipping. This is on their site: Orders over $300 are shipped free of charge to locations on our regular shipping routes across central Canada. I also talked to the customer service rep when she phoned to say my order was ready to be sent and asked the question about shipping and she said you had to order $300 for free shipping. So why is it that I had to order $300 so as not to pay for shipping, yet your blog states that shipping is free? I love the Rancho Vignola products and would be soooo happy to win your prize. Hi Autum – my mistake! I had read right on their site that there was no ordering minimum for the December event! I didn’t realize that there was difference between how much (or little) they would be willing to ship, and how much a customer would have to order for free shipping. I assumed it was one and the same, as it is at all other times of the year. I will make that correction now. Rancho Vignola nuts and seeds are so fresh. I stocked our freezer FULL last year and the year before. Alas, we have squirreled our way through everything. The chocolate covered almonds were amazing and so were the organic pine nuts from Italy, which they no longer carry. 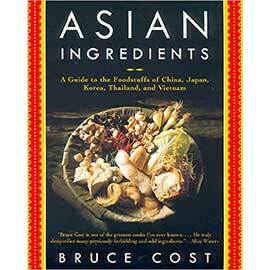 I really wish that they would bring those back, as I am not feeding my family stuff grown in China. I have a 4 year old who likes nuts and dried fruit so much she would be totally delighted if her Christmas stocking was filled with nuts and fruit! Thank you for the opportunity to try some of these fabulous local products! NUUUUUUTS!!!! I would love them. Hi there! I have tasted some of the wonderful nuts from Rancho Vignola–had the most wonderful Pear, Brie & Walnut salad; then had the walnuts again chopped onto bruschetta pieces—the best walnuts I have ever tasted! Please let me be the winner, and thanks for the chance! I love Rancho Vignola’s products. Keep my fingers crossed to win this fabulous prize! Hello Heidi from Malina in Prince George, BC! First Thanks for your blog on Italy tour! Much enjoyed and keep up the good and bad comments. They are all well written and illustrated. And God we need both sides of the coin too. How we are going to differentiate good from bad if we don’t learn to deal with both. Could have been a longer blog for how much I have enjoy it. Second Thanks for promoting through own example how much we appreciate having a family business dedicated to bring fresh and yummy goodies from around the world and I mean fresh every year. Hopefully all this feedback will stimulate their desire to lengthen their list of offerings. And hopefully Natalia and Simon will follow into the footsteps of their parents full-time. Thank you guys at Rancho Vignola! Thanks again for sharing your Italy experience and keep up sharing with good writing and more beautiful pictures, please! I have tried these nuts and dried fruits before and they are fabulous. New to your blog and looking forward to exploring it!! I love getting my rancho viniola order in november. Heidi is right, you can keep things for a year and they stay wonderfully fresh. Everything has fantastic flavour. I too would love to win the basket for Christmas. These mixed nuts look awesome! I know they would be thoroughly enjoyed in this house! love this idea and i too love rancho vignola ~ amazing quality and my kids can’t get enough! I Love this idea for your first give away! I love nuts and fruit! We love Rancho Vignolia too and shop there every year when they come to Kelowna! We’ve just discovered the on-line ordering – oh boy! We would love to win the contest – with 5 kids we go through a lot of fruit and nuts (even thought two have flown the coop now!)! I was just about to place our annual group order when I saw your contest. We absolutely love Rancho Vignola’s product. Our once a year get-together armed with ziplock bags, jars and scales have always been a lot of fun. The quality is just unbeatable. And then I saw that you were also Executive Chef at the ReBar. Whenever we make the 15 hour drive down to Victoria, the ReBar is one of our fav places to eat. The Almond Burger….Yum. Even got the cookbook for Christmas. As a complete nut (fan) myself, I have also been impressed and addicted to Rancho Vignola products! And now they have led me to Heidi Fink’s blog. After a quick look through, I beleive it will bring Aloha to my cooking (just got back from Maui). Thanks so much! Love all the nuts and fruit, especially good for gluten free, fresh ground hazelnuts, almonds… must be time to bake more cookies. Sounds great, I will check it out. We love RV at my house…looking forward to reading your recipes over the coming months! 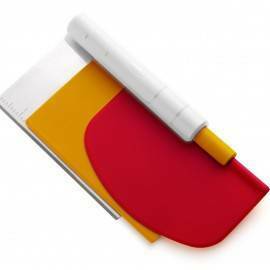 Thanks for hosting the giveaway…I predict no shortage of entries! I love fresh/dried fruit and nuts! Thanks for the great tip about where to get the best nuts. I use a ton of almonds in my homemade granola…those would be perfect! Would love to win the basket!!! I made a grain free Christmas fruitcake with all the yummy goodies that we got from the Rancho order, and all the fruit we dried this summer!!!! I love it, it’s the best fruitcake ever, might have to make another one to have at Christmas. Our family have been eating Rancho Vignola’s nuts and seeds and dried fruit for years. We just received our order today. Yum yum! Never enough though…would love the basket to share with family and friends. Thank you! We go through so many nuts and dried fruit, I’ll be ordering from them for sure. Thanks for the tip. yum, yum pigs bum! I love Rancho Vignola nuts!! What a fantastic give away! I agree Rancho nuts are far superior! Mmmmm, my mouth is nearly watering with your description of the nuts and fruits RV carries….thanks for the info! My family would delight in winning this giveaway. I am scared of buying nuts from the grocery store as I have tasted many rancid nuts in the past. What a pleasure to try fresh products. Great prize… would love to eat it! Yummmm, This would be great for snacking. I just started adding more nuts into my diet. These look delicious and would go down well with my family over Christmas. Hi Heidi! Thanks for sharing info about this company! Just yesterday, I was excited to find a ziploc bag of almonds and dried apricots in my purse, but sadly they tasted like my purse (a mixture of mint gum and floral lotion), and I had to throw them out. Tragic! I’ll have to check out the Rancho Vignola site. We love snacking on nuts and dried fruits! Would love to win! Please Enter Me In The Great Rancho Vignola Giveaway! It Would Be Great To Win The Basket Of Mixed Dried Fruits And Nuts. Congratulations on your first giveaway!! A great one, at that :) Just recently we’ve been trying to incorporate healthier meals and snacks into our day to day life, and this would be a fantastic prize for anyone who wins!! :) Thank you! My daughter started ordering her nuts and fruit through Rancho Vignola about 8yrs ago for herself and many of her friends and teaching colleages. She would always give us some as Christmas gifts. We of course became hooked quickly and started placing orders through her each year too. We of course always got some special goodies from her at Christmas still. This year her young husband was diagnosed with a rare blood disorder and is having a stem cell transplant in January. Their life has became very consumed with this event and because they were to be away from their home for up to the next 6 month receiving treatment at VGH she did not have the energy or vision to see where doing her nut order fit in with her life this year. I felt that it had become so much a part of the good thing in our lives that I have belatedly picked up the torch and am placing a Late Harvest Order for her and some friends so we can all enjoy the healthy goodness of these great products. My son-in-law’s special christmas treat pick has always been my homemade peppermint patties with the amazing organic dark chocolate coating. We might be celebrating Christmas on a hospital ward but we will be at home in our hearts with our rancho Vignola goodies. I love nuts and dried and I’m a vegan so I eat them daily! Thanks so much for the giveaway! I love snacking on cashews and peanuts, but for baking you can’t beat walnuts and almonds. Yum, yum, yum. This supplier sounds awesome – can’t wait to try any/all of the products. Great healthy gift, who could ask for more?